Parenting isn’t an easy job. It doesn’t come with any manual which is given to you when your child is born. It is something that you figure out as you go along once you become a parent. It is a lot of trial and error as the child grows up. It can be very trying for both the child and parent to communicate effectively and efficiently with each other. It can be extremely stressful too if one is unable to manage the problems that parenting brings. Your blood pressure shoots sky high and everything seems suddenly out of control once your child starts misbehaving or having a meltdown especially in public. There is no perfect solution, no textbook solution to all the trials and tribulations that will be hurled your way in your journey as a parent. My job as a parent started about 11 years ago when Monkey boy was born. All the books that I have read prior to his birth didn’t really help me that much. It could be said that there is a vast difference between theory and practical. Being a new parent back then I was bombarded with both well meaning and ill given advice. It took me quite a while to figure out what worked and what didn’t work for my kids. Even if a particular method worked well with kid #1 it is not guaranteed that it would work with #2 or #3. 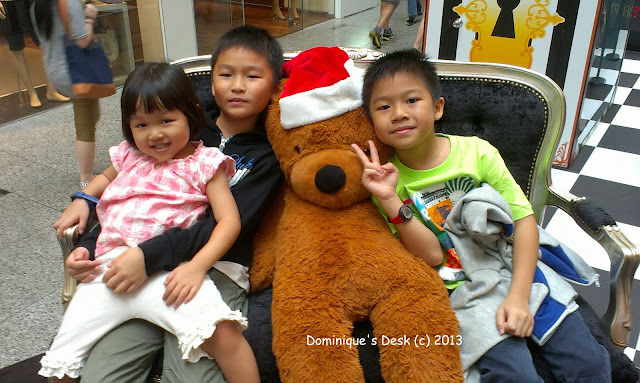 Each kid came with their own set of difficulties and challenges and it can be really exhausting tackling them daily. Children are bundles of joy to have. However at the same time they can be your worst nightmare. It is hard to really know what triggers them off at times and it can be really difficult to read their subtle cues. They can turn from angels into devils within seconds and back again. It can really nerve wrecking dealing with toddlers or pre-schoolers who themselves do not know what they want. It doesn’t get any easier as they get older. They get more demanding and argumentative. Back talking starts and you need to have nerves of steel and also be a pro debater to be able to out talk them. 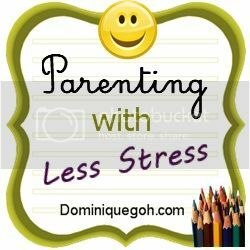 Join me as I start on this series on how it is possible to parent with less stress and share with you the struggles that I had, and am still having as a parent of three. So true that one method may work for 1 child but may not work for the other! Even breastfeeding 2 kids, one may be like this while the other is totally different! I don’t have kids yet, but I can see how my parents struggle with my youngest brother. You’re right about a particular method not working on all kids. Each one is different. Can’t agree more – all the books I read about parenting are of little or no help. Theory and pratical are vast different. Every child is different. Theory doesn’t apply to all. Looking forward to your posts on this subject. This is a great series to follow for parents like me who want to be less stressed when it comes to parenting. I sometimes stay away from parenting books because I feel like a failure when I don’t do what is recommended. In many ways I am blessed to be an Auntie. I get to experience kids, but at the end of the day I give them back to their parents. When they get fussy, I don’t have the burden of still having to care for them. But I also cant wait to be a parent someday, it’s such a special and important role. Hats off to your parenting! I agree that one method is applicable to all children, it would be more on the personality type of the child. I am looking forward to your post on parenting. I’m not sure if it would be effective on my son but I know I can get some tips.